Following Fala Chen’s (陳法拉) recent decision to not renew her management contract with TVB, other artists whose contracts are expiring this year, including Moses Chan (陳豪) and Michael Tse (謝天華), may also not renew their TVB contracts. Since his breakthrough role as Laughing Gor in E.U. <學警狙擊>, Michael has enjoyed a rapid rise in fame. Because of his appeal to the Hong Kong public, TVB began to cast him as the male lead in several dramas, including the E.U. spin-off series, Lives of Omission <潛行狙擊>. Michael’s dramas garnered good response, with the recently-aired Sergeant Tabloid <女警愛作戰> earning 32 points in ratings. Although Michael has found success in TVB, he may not renew his management contract with TVB when it expires this year. However, due to his good relations with TVB, he will continue working with TVB under separate arrangements. With the growing list of artists rumored to be leaving the company, TVB executive, Catherine Tsang (曾勵珍) assured that Moses Chan, Michael Tse, and others were interested in making more money in mainland China, but this did not mean that they were leaving the station. Co-star Tavia expressed she would like to have the opportunity to head over to China to earn more money. However, her busy filming schedule in TVB does not allow that to happen. Tavia asked TVB to lessen her workload so that she has the chance to film more mainland dramas. Note: This article was updated on May 13, 2013 at 11:17 p.m. to reflect Catherine Tsang’s comments on Michael Tse’s departure from TVB. Always thought Michael Tse’s appeal was stronger in Hong Kong than in mainland China, since he has primarily starred in modern dramas. Another big lost if Micky leaves all together. 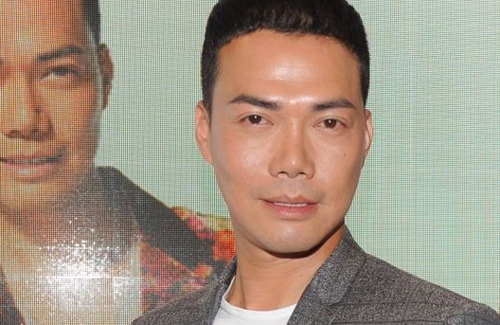 Could tvb afford signing established entertainers anymore? Could be another reason to swich to other channels. So far, Fala, Bosco, Ron and now MT have reportedly said they will not renew their management contract. Way to go, TVB! Do you want them to stuck in TVB forever? I support his decision if he decides to leave.. TVB doesn’t seem to treasure him alot! Look at how his dramas have always been released too early! Friendly Fire in December, sergeant Tabloid was warehoused and then finally ared in February. They also gave him a movie and spinoff in a prime timeslot. They treated him very well. Lives of omission aired in August… Not a bad timeslot but not well either … And I’m pretty sure the reason why they made the movie was to gain more profit. To me TVB did not treat him well either than giving him lead roles. TVB is doing the same thing what they did to Steven Ma too! Airing the dramas to early so they don’t really have a chance to win awards. And warehousing the dramas like For Steven Sweetness in the salt and a drama where both Michael and Steven were in Cupid Stupid. Summer timeslots are actually the best since kids are out of school. Michael has also shot a mainland series and was basically one of the leads in Eric Tsang’s Chinese New year movies. So all in all, while there may be some who feel that there’re many others who’re worse off and he/his fans shouldn’t be complaining (not that he himself has ever breathed a word), I’d definitely draw the line at saying how he’s been treated oh-so-well by TVB all these years. Although they’re not renewing their management contract, they’re probably still renewing on a per series contract so I’m glad that I’ll still be able to watch them. TVB shouldn’t be switching out all the actors/actress, they need to switch out Management! Now that the entertainment industry is getting more competitive, TVB may be losing its monopoly and may need to pay more competitively in order to keep good talent? Otherwise, why would good artists stay if they can get more elsewhere? It’s good news to finally see more competition between hk television stations. It’s about time. I mean, if you look at south korea, they have two mainstream stations. same thing with canada. so why not hong kong? HK does have two tv stations right now.. except atv hasnt been that successful. Maybe TVB should invite well-known talents from mainland for joint collaboration with their artistes and release the series in mainland with wider markets – with the profit, they can afford to pay more to retain their talent. Talent pinching should work both ways. Please. TVB artists are saying they want to go to mainland to dig gold – meaning mainland dramas pay a lot more than TVB. why would mainland actors want to film for TVB for less money?! TVB should put up HELP WANTED or HIRING sign. No man…. I used to hear them talk Cantonese, Now there all switching to Mandarin, It going to take a while to get used to it. Yeah, and somehow dubbed voices sound funny – I’ve never watched any series from mainland due to that reason. Somehow I still prefer Taiwanese mandarin than mainland Mandarin. The voice tone seems softer and easier on the ears (whether or not I understand is another matter). Even when watching korean dramas dubbed in mandarin, I’d prefer it in Taiwanese mandarin with english subtitles. I dont get it…Mainland…not much people watch it, (what i know of), but how come they pay more than TVB? Where i live, not much people love watching Mainland drama because its so long and everyone look the same! Storyline is indeed good and msot of the time not cliche, their acting is very dramatic which makes you feel its emotions of every actor and actresses role. But i dont know, it isnt very much as popular as TVB but ive always wonder why TVB star wants to film there? How do they pay more? Does people from China/HK actually enjoy watching mainland? Chinese production companies do have a lot money and they have investors. They do pay well for actress/actors. They have LARGER audience then Hong Kong. Quality can be good and a lot of times TVB have acquire Mainland dramas to be air in Hong Kong. The viewers in Hong Kong and China do watch it on TV and online… hundred of millions views. I for one dont watch Mainland dramas at all. I dont listen in Mandarin BUT I prefer to be dubbed in Cantonese or English subtitles. I don’t understand how they can pay more too. I guess their market is so much bigger. TVB should’ve used that to their advantage – dub their well-known dramas for mainland release and SHARE the profit with their actors/actresses. That would be a win-win situation and guarantee extra income to them. Just like most corporations which are too greedy and do not share their earnings/profit with their hard working staff are sure to lose them to another which can offer better. It’s because the market is bigger-hence they get more viewers watching (but doesn’t mean that they get diverse viewers i.e. viewers from multiple couuntries watching). TVB gains its viewers from all around the world, but for Mainland viewers, their market alone is already quite large, but they don’t get a lot of people watching it outside of their market. Also, their currency is worth higher thank HK dollar, hence even if Mainland artists’ were to receive pay of same value number, it;d be worth more than HK artists’. Time for the next generation of actors. Well it is not good for them to stay in TVB forever. It is good for them to venture out and try new things as well as earn more dough. Also, you guys should try watching mainland series because many of them are better than TVB series these days. Agreed, the overall quality of the acting (in mainland series) is better. Maybe because mainland cast the best actor/actress for each role? Whereas TVB will even use people with language barrier and little acting experience. Not a big deal. People don’t have to sign management contracts to film for TVB and many artists who have a management contract don’t even film for TVB anymore these days. As long as relations are good these artists will still be around.